Potential Causes: Sediment, iron or rust from older water mains or pipes. Upsets in the system like a water main break, when a valve is operated or water flow is changed can stir up rust. What to do: Rust is not a health risk. Do not wash clothes during this time to avoid staining them. Flush hot and cold water to avoid rust presence in your plumbing once it is gone. Potential Causes: Air bubbles in household pipes from changes in water temperature. In the winter, water contains more oxygen or air because it is cold. When the water reaches your house, it warms up and releases the oxygen. What to do: Air bubbles and minerals in water are not a health risk. Fill a glass with water, if the cloudiness disappears from bottom to top in a few minutes, it is air bubbles. Potential Causes: Copper plumbing corrosion. Newly installed plumbing releasing metals. What to do: Copper in water is not a health risk. Flush cold water for five minutes at a high flow rate once a day for three days or until water clears. Replace old copper plumbing. Potential Causes: Calcium build up in the water heater can collect in faucet aerators and appear in tap water. White particles can be visible in ice cubes made with tap water. Water heater - dip tube is made of a nontoxic plastic material that can break apart, collect in faucet aerators and appear in tap water. What to do: Calcium in water is not a health risk. Place the white material in a small amount of distilled vinegar. Calcium particles will bubble or dissolve within 24 hours. Plastic particles will not dissolve. Clean aerators. Flush water heater - contact the manufacturer if plastic particles continue to appear in water. Potential Causes: Deterioration of rubber materials used in plumbing fixtures like gaskets or O-rings. Carbon water filter cartridges. What to do: Replace gaskets and O-rings with chloramine-resistant materials. Routinely replace filter cartridges. Clean aerators. Flush water heater - contact the manufacturer if plastic particles continue to appear in water. Potential Causes: Calcium and magnesium normally found in the water sometimes end up as visible particulates in the core of ice cubes. What to do: White particles are not harmful. Potential Causes: Most often arises from the corrosion or leaching of plumbing materials, such as copper and iron. Corrosion of plumbing materials can be enhanced when a house is closed up for a long period of time and no one uses the water, by hot water or faulty plumbing. Installation of new plumbing or fixtures, and the metallic materials have not yet passivated or settled down. What to do: Run the cold water for a few minutes to get fresh water into your home plumbing. Potential Causes: Slight earthy/musty odor in the tap water produced from surface water supplies, which can be typical in the fall. Algae are prevalent in all surface waters and can be especially abundant during the warm summer months. As the weather becomes colder and the water temperature decreases, the algae will begin to die off and release two nontoxic compounds that can cause an earthy or musty smell. What to do: No known health effects at natural levels found. Potential Causes: Clothes generally smell when they remain wet for too long. Washing machines collect lint, dirt and moisture over time. What to do: Clean the lint filter and area around the lint filter with a tooth brush, soap, water or a bleach solution. Fill a glass of cold water from the source to determine if it has an odor. This helps determine if the hot water heater is contributing to the odor. Run chlorine bleach through the washing machine to help remove residual odors. Check with the manufacturer. Potential Causes: Many facial cleansing products contain chemicals that bleach fabrics upon contact. What to do: Avoid contact with products that contain chemicals that bleach fabrics. Potential Causes: Commonly appears in showers and kitchenware from dissolved minerals in water (water hardness), such as calcium and phosphate. Typically, water hardness is higher during warmer months. Calcium and phosphate can build up in the water heater and on household surfaces. 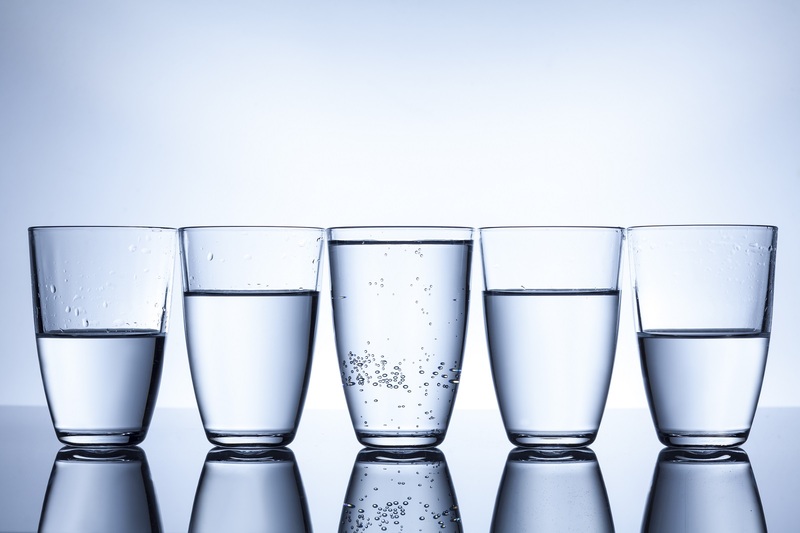 What to do: Calcium in water is not a health risk. Commercial products are available to remove white residue. Flush water heater. Potential Causes: Biofilm (non-harmful bacteria) often grows well in moist environments. Bacteria can grow in water heaters and contribute to biofilm growth on wet surfaces like bathtubs if the water heater temperature is not maintained at 140˚F. What to do: Pink biofilm is not a health risk for healthy individuals. The slime, caused by microbial growth on surfaces, are best controlled by cleaning and disinfecting with common household cleaning products. Fix dripping faucets and showerheads. Check the temperature of your water heater.